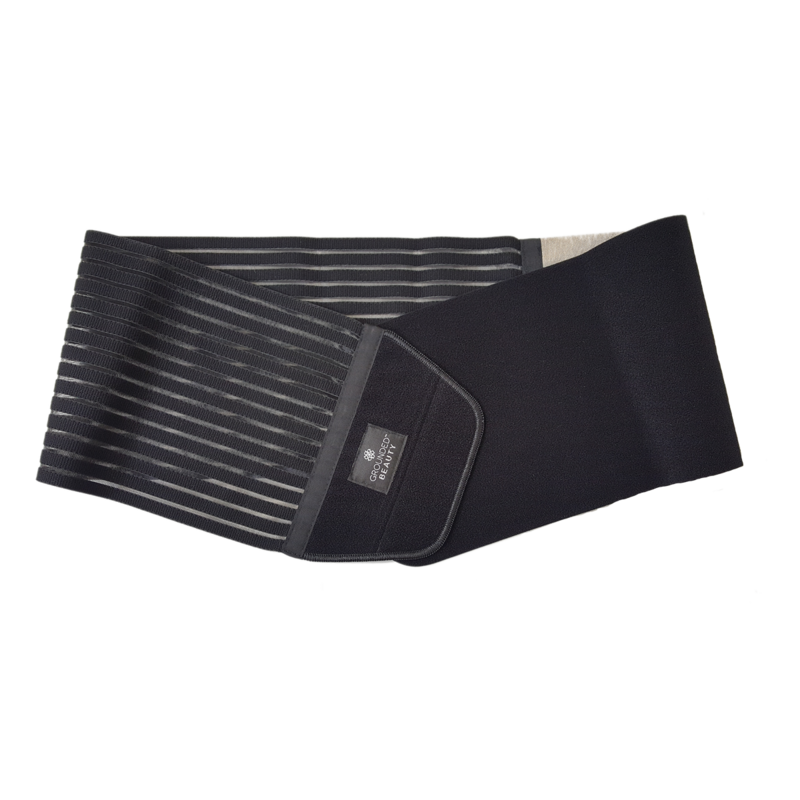 This Support Belt can be used with the large Silver Conductive side over the stomach area to help support all digestive tract issues, such as Acid Re-flux, indigestion, IBS and other inflammatory bowel and stomach conditions. Conversely, the Belt can be used the other way around with the Silver Conductive side over the lower back, helping to support Lower Thoracic, Lumbar and Sacral (Sacrum) Spinal Problems. This not only reduces pain and inflammation but improves nerve function, which some people will be able to ‘feel’ coming into their stomach, down the groin and into the upper thighs. An excellent Sports Therapy Support Aid for Stomach and Spinal issues, pain and inflammation. 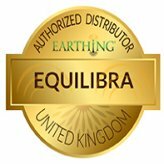 The Earthing Sleep Mat should be used underneath any fitted sheet for sleeping. It measures 27 x 72 inches. Use two Sleep Mats for double beds. 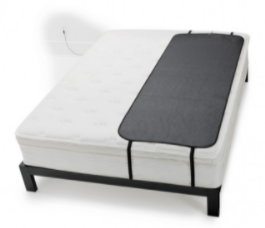 Place the mat on your mattress under a fitted sheet with the snap nub facing down, the straps will fit around the mattress to hold the mat in place. Attach snap end of Earthing cord to snap nub on the mat. Snap the other end of Cord to Ground Plug and insert into Socket of the nearest grounded electrical outlet on wall, or into Earthing ground rod cord if you use a ground rod connection. The mat is conductive on the snap side only.